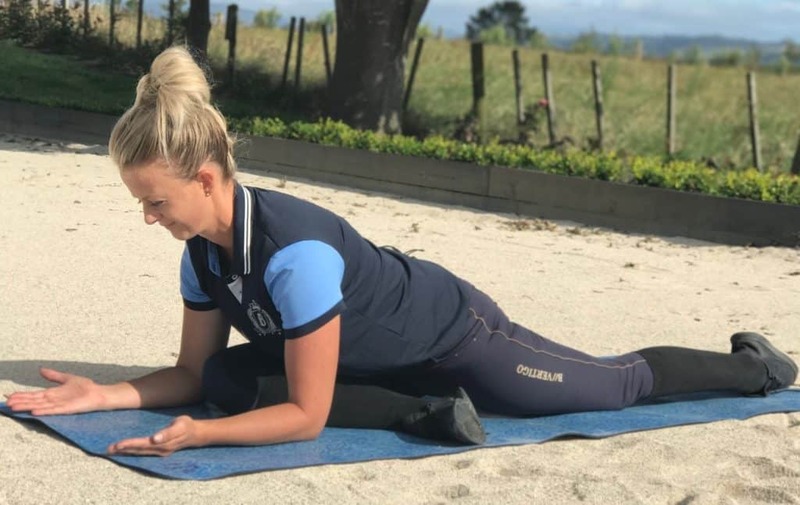 It’s common for dressage riders to experience strain or tension in their piriformis muscle. Tightness in the piriformis muscle can cause and further pain elsewhere in the body. 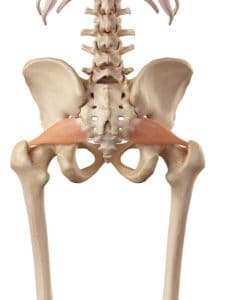 The piriformis is a muscle located deep in the hip that runs in close proximity to the sciatic nerve. When the piriformis muscle becomes tight and/or inflamed, it can cause irritation of the sciatic nerve. This irritation leads to sciatica-like pain, tingling and numbness that run from the lower back, to the rear and sometimes down the leg and into the foot. When riding this muscle can become compressed and tight, especially if you are riding larger more wider horses. This is why it can be hugely beneficial to understand how to stretch it and include these stretches into your routine. 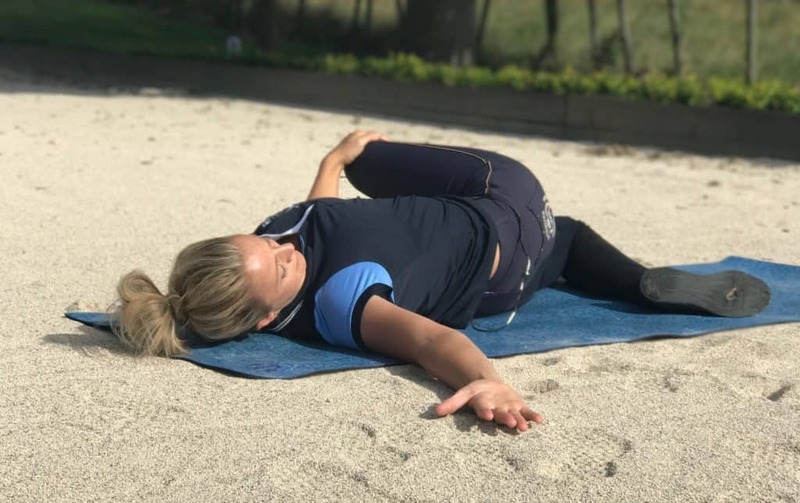 In this video, I share with you some simple exercises you can do to stretch and release some of the built-up tension of the piriformis muscle. I’ll also demonstrate some effective foam roller exercises which will really enhance the benefits of these stretches. Lying on your back with your legs straight, bring one knee into your chest. Taking hold of your ankle, pull your leg towards to the opposite side. As you do so, you’ll feel a stretch in through your bottom. If the stretch is too deep, bending your straight leg may help make the stretch more comfortable for you. If you wish to intensify the stretch, bend your straight leg and place your heel on this thigh. Holding this knee, pull your legs toward you, deepening the stretch. Remaining on your back, take one knee over your body. Turn your gaze to the opposite direction and stretch out your arm. Allow yourself to sink down as your body eases into the stretch. If you wish to intensify the stretch, you can straighten the leg crossing over your body. Sitting up, tuck one leg underneath you and cross the other over the top. As you hug your knee, twist your upper body right around to the back. Ensure both seat bones are down as you rotate your spine. Your back hand can be used as a support to keep your body lifted and your spine supported and straight. If the stretch is too challenging, you can straighten your leg out while crossing the other over. Come around into a pigeon pose, with both legs bent at 90 degrees. Position one leg bent in front and the other leg straight behind you. Turn your body around to face the ground and lower yourself down over your front leg onto your forearms. If the stretch is too deep, you can bend or straighten your back leg. Rather than lower yourself to the ground, you can bring yourself up higher with your arms straight. Using your foam roller, place it under your bottom. With your weight to one side of the foam roller and knees bent, cross one leg over the other. Using your hands behind you as support, rock backwards and forwards to loosen the muscles in your bottom. 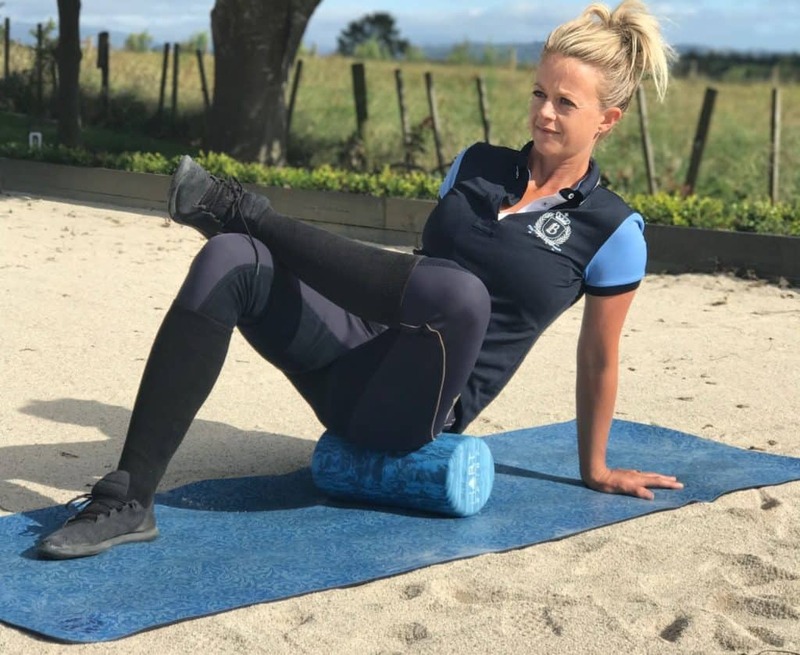 Remaining on the foam roller, place it on the side of your thigh with your opposite foot resting on the ground for support. Roll backwards and forwards so the foam roller loosens up the muscles in the side of your leg. To reduce the pressure, place more weight on the supporting leg. To intensify the stretch, lessen the amount of weight you place on your supporting leg. 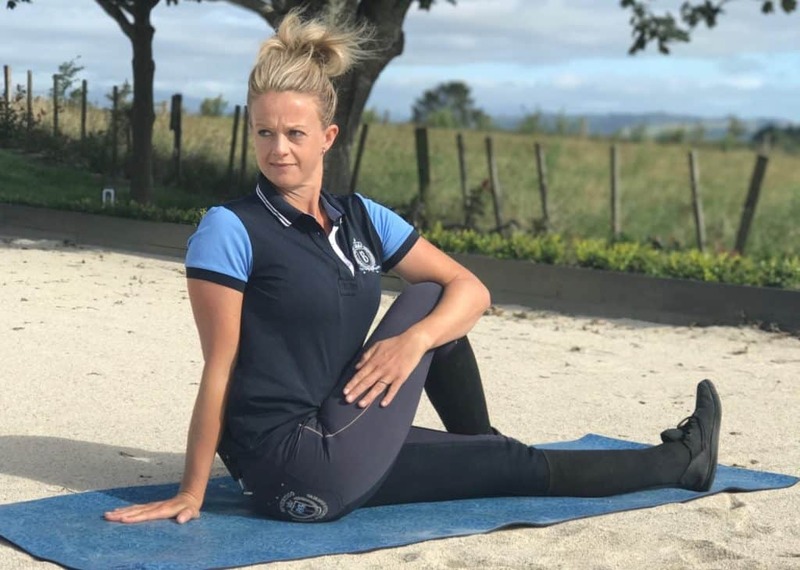 It’s best to conduct these stretches before you ride and after if you’re feeling particularly tight in your piriformis muscle. Try to perform each stretch for at least 1 minute to help loosen these muscles. By loosening up these muscles, you’ll find yourself much more comfortable and stable in the saddle. This will help improve your riding so that you’re not the one holding your horse back. Improving your rider fitness, strength and balance will not only enhance your riding, it will also keep you riding for longer. For more exercises, stretches and workouts to take your riding to the next level before to download our free guide. These specific dressage exercises are designed to help you take your dressage to a new level.